MSI finally unveils the first of its Radeon RX 590 line-up carrying the Armor Series with its classy black and white design. Offered in a both an overclocked and non-overclocked version, the MSI Radeon RX 590 Armor graphics cards feature the TORX 2.0 with double ball bearings offering efficient and silent cooling. 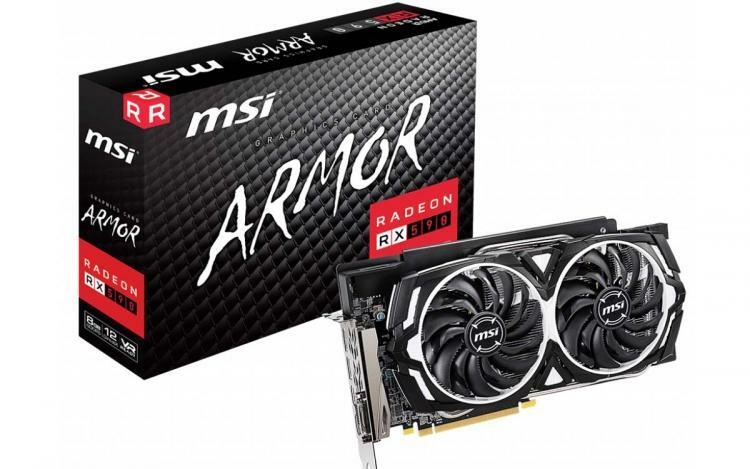 The MSI Radeon RX 590 Armor cards also feature high-class components that offer superior reliability and durability such as MIL-STD-810G standard certification and use of Hi-c CAP, Solid CAP, and new SFC components. The MSI Armor Series features a classy black and white design without the flashy RGB lighting. It features the award-winning TORX Fans 2.0 for superior cooling. The heatsink has a dual cooling fan design with dual ball bearings for longevity and silent operation. The aluminium fins use the Airflow Control technology that maximizes airflow through the heatpipes.